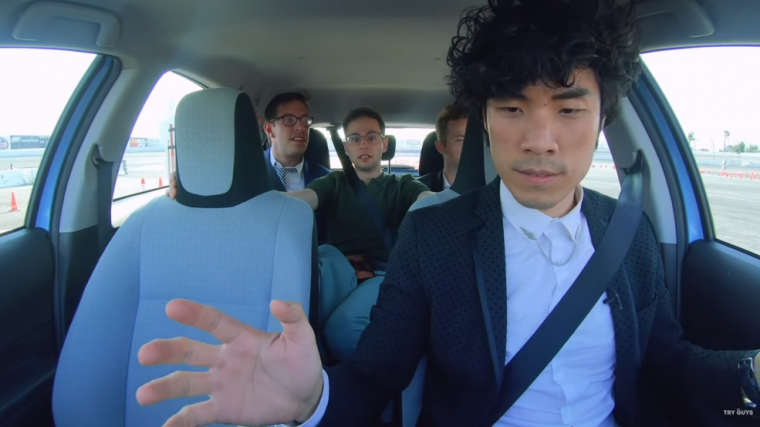 In their latest series of videos, popular YouTube group The Try Guys are taking on four types of impaired driving: drunk, high, sleepy, and distracted. * The first video covering drunk driving was released this week, and the group brought their trademark humor to the situation while still educating their considerable audience about the dangers of driving drunk. If you haven’t heard of The Try Guys, you have some serious catching up to do. 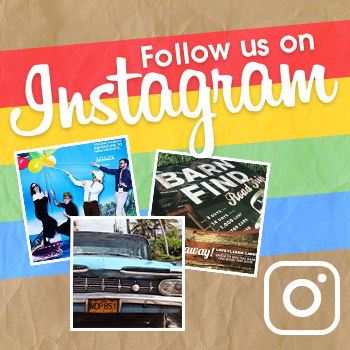 Keith Habersberger, Ned Fulmer, Zach Kornfeld, and Eugene Lee Yang are a team of four that got their start on Buzzfeed but have since started their own company. As the name of the group implies, each of the videos focuses on the men trying out new things, from ladies’ underwear, to childbirth, to everything on the menu at Taco Bell (spoiler alert, most of it tastes the same). 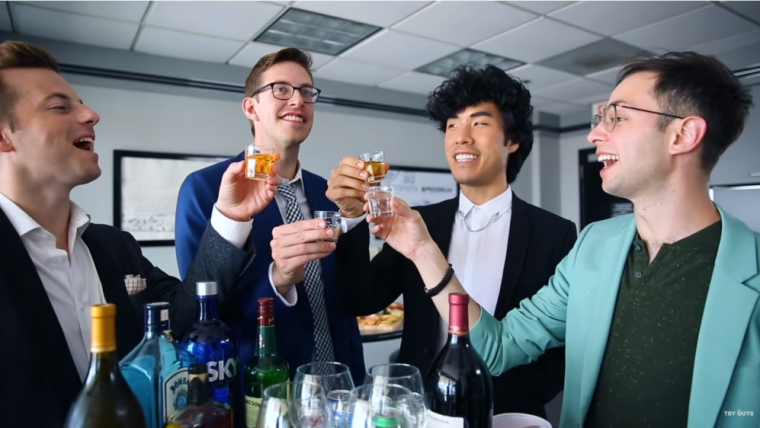 This is the second time that The Try Guys have explored what alcohol does to their faculties. The first video had the team drink and record how fast they hit the .08 percent blood alcohol content on a breathalyzer. They then took a field sobriety test and discussed how drunk they felt and if they would get behind the wheel of a car. For this video, The Try Guys took Keith’s new car to a racetrack, where they set up a complicated course of cones and obstacles like a stop sign, lane merge, and parallel parking. To make sure any errors were caused by drunk driving, all four men took to the course sober, and then returned when they were drunk. Take a look at the mistakes everyone made, and the expert analysis by a police officer and a doctor. Millions of people watch videos by The Try Guys, so hopefully, these incapacitated road tests will get through to someone and make them realize how dangerous these behaviors are. *The Try Guys live in California, where marijuana is legal.